István Gazdag aka First Aid 4 Souls continues his anthology series with another distinctly themed collection of songs. Whereas the previous three offerings have served up psy-acid, industrial-noise and dark ambient, 'Vol. 4' blends electro soundscapes and a diverse rage of world instruments to create a palette of relaxing yet rhythmically stimulating songs. It's a shame that the band are not more well known further afield as this series, in particular 'Vol. 4', shows off what an eclectic project First Aid 4 Souls is. Songs like 'Eden', '2662', 'Neverharmony', 'Fairy' and 'Future Sound Of Asia' are perhaps the strongest examples on the album with a well balanced blend of ethnic sounds, danceable rhythms and ambient electronics that hints at the likes of Juno Reactor. 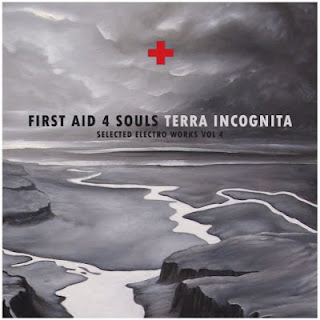 With the tracks being collected from along First Aid 4 Souls' long career there are obvious variations in the technological and mixing quality of the songs, with some sounding rather outdated even, at times, akin to the now defunct Ceefax music playlists of yesteryear. But a decent mastering job has given the album a more refined sense of unity, and the care to arrange the tracks gives the album more of a narrative feel. This album may not have the dance floor appeal of volumes one and two, but it still stands nicely next to 'Vol. 3' in terms of experimental spirit. It is quite obvious this is where Gazdag has been at his most experimental and speculative. It doesn't always quite work, but nobody ever made any progress by playing it safe.